I came out to the garden this afternoon to find a swarm conveniently hanging on a tree lucerne branch. Bees usually swarm around Spring/Summer for a lot of different reasons but in this case I was just happy to have them so close and easy to capture. 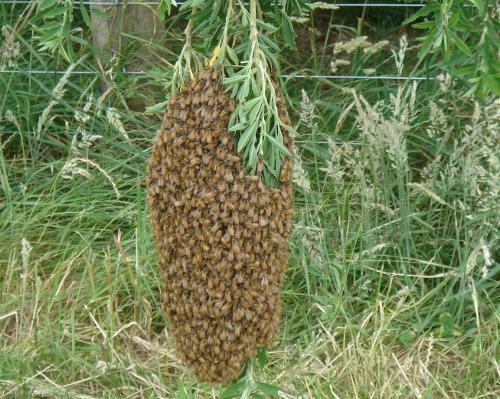 It’s a small swarm – maybe 3-5000 bees. 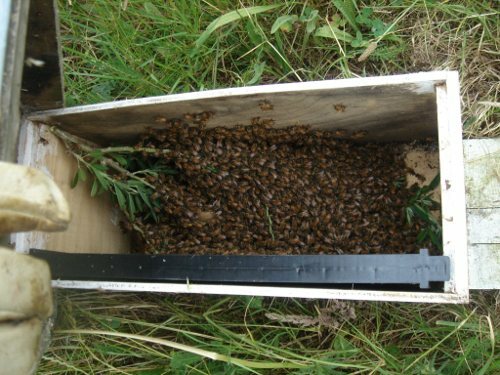 Before bees swarm they gorge themselves with honey so are actually very docile (despite the term swarm). I was wearing my bee gear just to be safe, but I managed to remove the branch and drop it into a swarm box without a single bee coming away from the swarm. Here is their new home for the next few days until I can merge them in with the smaller of our two hives. I filled the box with new comb for them to live on and removed the branch. You can see workers already starting to forage. 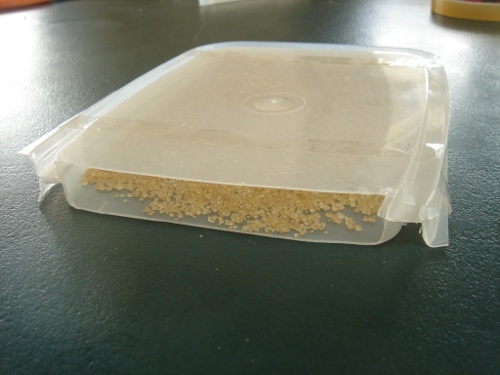 I had to make up a sugar feeder to keep the bees fed until they had gathered enough honey for themselves. 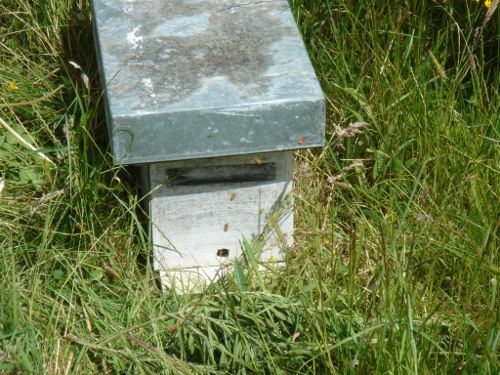 Because they were on new wax foundation they will take a good few days to build up enough space to store honey. I wasn’t expecting a swarm to arrive so this MacGyver feeder is made from two takeaway lids taped together with one end cut away. It will sit on top of the frames in the swarm box. 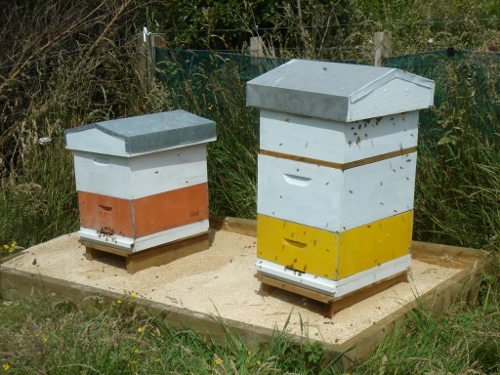 Here are our two hives on a sunny day with very busy bees foraging and returning to the hive. It can be a bit daunting if you’re not used to bees, but these gals (workers are female) are far too busy foraging to bother about a human standing nearby. It sounded a little like you gave them an empty honeycomb is that correct? I kind of had the impression that once you had them in the box there was a way to have the box with the others so it was like introducing fish to a new tank.